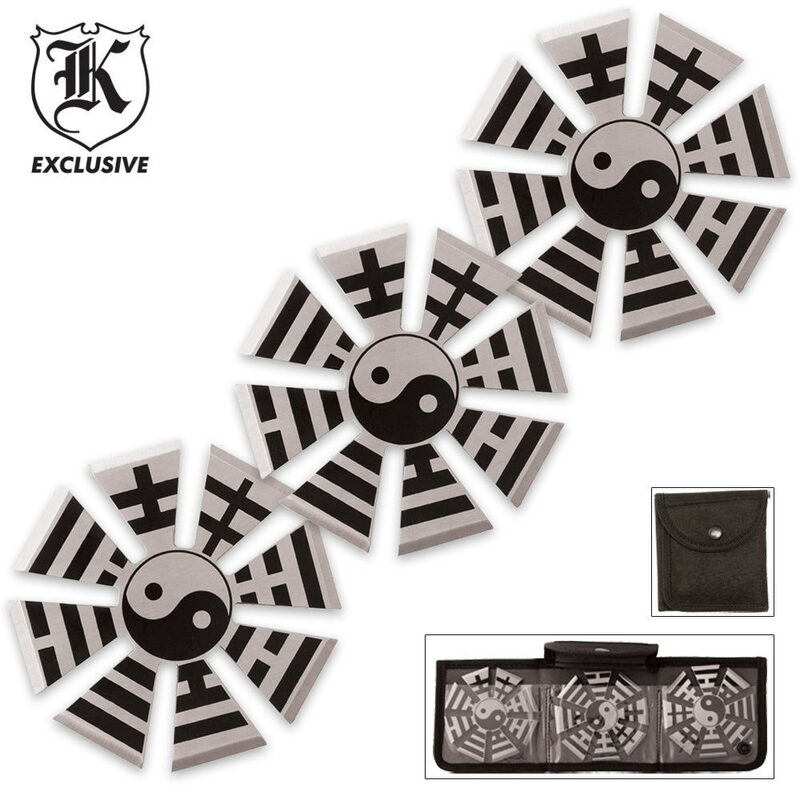 Yin Yang 3 Piece Throwing Knife Set | BUDK.com - Knives & Swords At The Lowest Prices! The throwing stars in this 3 piece set are sure to stick every time! Each throwing star features a YinYang design. Includes a nylon sheath for easy storage and carry. 3" diameter.